1. Each member shall be guided by the highest standards of ethics, personal honour, scientific integrity, and professional conduct. 2. A member will not take on the functions of an expert in fields other than his or her own, or accept professional obligations not competent to discharge. 3. Honesty, integrity, loyalty, fairness, impartiality, candour, fidelity to trust, and inviolability of confidence are incumbent upon every member. 4. Members shall continue their professional development throughout their careers and shall actively encourage those under their direction to advance their knowledge and experience. 5. The responsibility of members for the welfare, including the financial welfare, health and safety of the public shall at all times come before their responsibility to the profession, to sectional or private interests, or to other members. If the member’s judgement is over-ruled in this matter the client or employer should be informed of the possible consequences, and if appropriate, the proper authority should notified of the situation. 6. A member will avoid sensational, exaggerated and unwarranted statements or endorsements with regard to professional or other matters that might induce participation in unsound enterprises or adversely affect a sound enterprise. 7. A member will not knowingly permit the publication of their reports or maps for any unsound or illegitimate undertaking. 8. A member will not give a professional opinion, make a report, or give legal testimony without being as thoroughly informed as might reasonably be expected considering the purpose for which the opinion, report, or testimony is desired, and the degree of completeness of information upon which it is based should be made clear. 9. A member shall not issue a false statement or false information, or misinformation, even though directed to do so by employer or client. 10. A member shall not advertise their work or accomplishments in a self-laudatory or unduly conspicuous manner. Conduct of Members in relation to Employer or Client. 11. A member shall protect, to the fullest extent possible, the employer’s or client’s interest in so far as is consistent with the public welfare and the member’s professional obligations and ethics. 12. A member who finds that obligations to an employer or client conflict with professional obligations or ethics should have such objectionable conditions corrected or resign from such obligation. 13. A member will disclose to a prospective employer or client the existence of any interest, held, either directly or indirectly, and having a pertinent bearing on such employment. 14. A member will not use, directly or indirectly, any employer’s or client’s confidential information, patents or inventions in any way that will provide a competitive advantage to a third party, or be detrimental to the interest of employer or client. 15. A member retained by one client will not accept, without the client’s consent, an engagement by another if the interests of the two are in any manner conflicting. 16. A member who has made an investigation for any employer or client will not seek to profit economically from the information gained, unless permission to do so is granted, or until it is clear that there can no longer be conflict of interest with the original employer or client. 17. A member will not divulge information given in confidence. 18. A member will engage, or advise any employer or client to engage, and co-operate with, other experts and specialists whenever the employer’s or client’s interests would be best served by such service. 19. A member shall not accept a concealed fee for referring a client or employer to a specialist or for recommending geological services other than his or her own. 20. A member shall recognise the importance of sound environmental practice and as far as practicable ensure that all projects for which they are responsible will have minimal adverse effects on the environment. 21. A member will become familiar with and comply with all environmental laws, regulations and standards applicable to projects in which they are engaged. 22. A member will not falsely or maliciously attempt to injure the reputation or business of another. 23. A member will freely give credit for work done by others to whom the credit is due and will refrain from plagiarism in oral and/or written communications, and not knowingly accept credit rightfully due to another. 24. A member will endeavour to co-operate with others members, and with members of related bodies, and will encourage the ethical dissemination of geological knowledge. 25. A member will endeavour to ensure that applicants for membership follow the specified standards, and that they are otherwise qualified. 26. It shall be the duty and responsibility of every member not only to uphold these standards of ethics in precept and by example, but also, where necessary, to encourage by counsel and advice to other members, their adherence to such standards. Discipline for Violation of the Code of Ethics. 27. Any member violating any of the applicable standards prescribed in this Code shall be subject to discipline as provided for by the Articles of Association of the Institute of Geologists of Ireland Limited. 28. A complaint that a member breached the Institute’s Code of Ethics in force at the time at the time shall be referred to the Ethics Committee for hearing as expeditiously as possible. 29. A member against whom an ethics complaint is made shall be entitled to notice in writing of the grounds of the complaint and to an opportunity to be heard in respect of such complaint before the Ethics Committee. A member will be informed prior to the hearing of the evidence to be adduced at the hearing. 30. At the conclusion of the hearing of an ethics complaint the Ethics Committee may rule that the complaint has not been established, or may find that the complaint has been established, in which case the Ethics Committee shall refer the matter to the Disciplinary Committee. 31. The Disciplinary Committee shall hear and determine any charge referred to it. 32. A member shall be entitled to a minimum of twenty eight (28) days notice of a meeting called by the Disciplinary Committee to consider an alleged breach of discipline by the member, and such a member shall be entitled to attend at such meeting and to speak, challenge any evidence, and adduce such evidence as the member thinks fit. A member may be accompanied by a person of their choice at the hearing. 34. The Board of Directors, without discussing the case or considering the record, shall notify the member by registered mail of the recommendation of the Disciplinary Committee and if the Disciplinary Committee has found that the charge has been proven shall provide the member with a copy of the record made by the Ethics and Disciplinary Committees, and shall allow 28 days from the date of the notification to appeal against the finding. If there is no appeal the Directors shall by ordinary resolution either confirm the recommendation, substitute some lesser penalty, or discharge the case. 35. A member who is dissatisfied with the decision on an ethics complaint adverse to that member may by notice in writing delivered to the Secretary within twenty eight (28) days of the giving of such a decision appeal against such decision. 36. The Board of Directors shall proceed to hear and determine an appeal from a decision of the Disciplinary Committee. The member appealing shall be given an opportunity to be heard on the appeal. 37. On the hearing of an appeal by the Board of Directors and in considering whether or not to confirm a resolution of the Ethics and Disciplinary Committees the Board of Directors shall be provided with a record of the proceedings before the Ethics and Disciplinary Committees, including the evidence. 38. A member about whom an ethics complaint is made may be represented at any hearing of that ethics complaint, or any appeal by, a person of their choice. 39. The Board of Directors shall decide the appeal by ordinary resolution and shall in reaching a decision as to what should be the outcome of the ethics complaint giving rise to the appeal have all the powers of the Ethics and Disciplinary Committees and may within those powers decide to amend the decision, or vary the penalty, that was imposed by those committees. 40. All members are bound by a determination of the Board of Directors pursuant to these Bye-laws. 42. 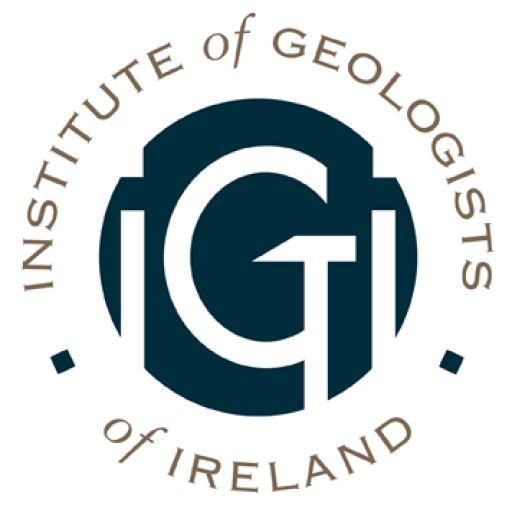 A member expelled shall have his or her name deleted from the register of members and shall not be entitled to use the appellation PGeo, or MIGI, or imply that he or she is a member of the Institute of Geologists of Ireland or hold himself or herself out as such.